AHF is the leading regional furniture and carpet retailer in the UK with an established base in the East of England where it has traded for over 30 years. We offer the latest furniture trends on the market with a massive selection of both traditional and contemporary home furnishings. Within our AHF stores you will find a wide range of sofas, chairs, dining and living room furniture, beds and bedroom furniture, carpets and rugs, not to mention our friendly staff and great coffee. Originally part of the Anglia Regional Co-operative Society, AHF became an independent company in 2011, with outlets situated on retail parks up and down the country and concession departments within selected Westgate and Beales department stores. 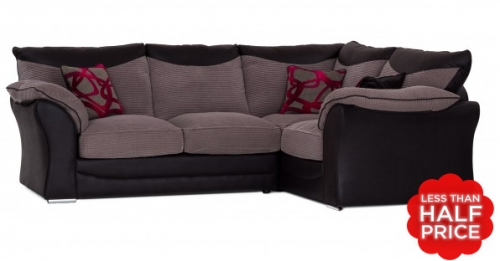 The Celine is a modular corner sofa set in high quality bonded hide. The centre piece of this suite is a sectional corner sofa complemented with separate recliner chairs. The Cadiz is beautiful modern range that comes in a multitude of combinations such as corner units and static units. Please would you ensure that the following is passed to relevant senior managers. On 05/03/14 my husband and I visited the Kings Lynn store looking for upholstered furniture. I feel I must let you know how pleased we were with the EXCELLENT customer service provided by the staff. The deputy manager (possibly Mike) was very knowledgeable about the products. Liam was superb, and went out of his way to help us find a suite that would be suitable for our requirements. We had just had a terrible experience in another store and to be "served" by a delightful young man who was polite and keen to help was a breathe of fresh air; you are lucky to have him on your staff. We will certainly visit the store again as we feel we can actually trust the staff. Well done.